25 Years Later, and NO ONE puts AXIS Dance Company in a Corner! In 1987 when the Bay Area's own AXIS Dance Company first performed, gas was 89 cents per gallon, The Simpsons debuted on FOX, and Prozac had only just become available to a country flocking to see a movie called Dirty Dancing, which spawned the catchphrase, "No one puts Baby in a corner." Fast forward twenty-five years later and AXIS Dance Company, now considered to be the country's leading physically integrated dance company, celebrates 25 years of against-the-odds success with a series of performances at the Malonga Casquelourd Center in Oakland. Over this period of time which they refer to as "25 Years of inspired dance," the company has worked with numerous choreographic luminaries, including among others Bill T. Jones, who said "There is no more defiant a land that I can think of than AXIS. They showed me what dance could be." In addition, they recently performed two electrifying pieces on ABC's So You Think You Can Dance, one by Alex Ketley, the other by company dancer Sebastian Grubb. For its anniversary, the company will debut a collaboration between Victoria Marks and composer/musician Beth Custer, and a yet-to-be-named piece from Amy Seiwert, with an original score by Darren Johnston. AXIS was actually featured on two editions of So You Think You Can Dance. The most recent featured Sebastian Grubb and Joel Brown in The Narrowing, and the first was a performance of Alex Ketley’s To Color Me Different. 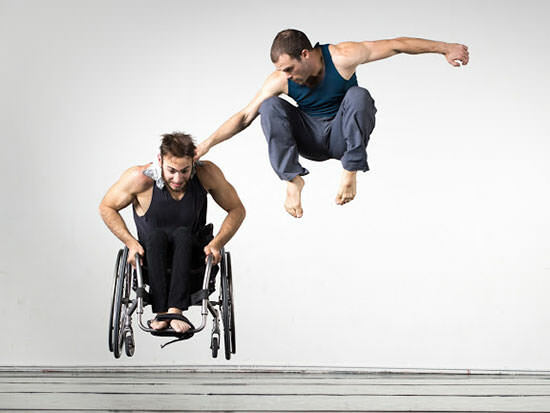 Since its founding 25 years ago, AXIS has changed the perceptions of what a dance company can be through its integration of able-bodied dancers with those with disabilities, who are often in a wheelchair. Bruce Weber, writing in The New York Times in 2009, admitted this process can require some adjustment: "The initial impact of this on an audience is vexing. It's a visual mixed metaphor, and you can't help feeling, well, sympathy for dancers without legs. Like much that is surprising in art, however, AXIS's work instructs the viewer in how to appreciate it, and the lesson is delivered with cogent force: Sympathy is irrelevant. Forget what isn't here, and pay attention to what is. Recognize the chairs for what they are and not as substitutes for what they are not." The first of the two new works to debut comes from a long anticipated collaboration between Victoria Marks and musician composer Beth Custer that is titled What If Would You. And while this is the first time the two have collaborated, it is the second time Marks has been commissioned by AXIS. Her first piece for the company was 2003's Dust, which was profiled on KQED Public Television's Spark. "I've wanted to work with Beth for a long time," says AXIS founder and Artistic Director Judith Smith. "And I thought she and Victoria would be a potent combination." Amy Seiwert's piece for the company will be her first. This year AXIS introduces two new members, Joel Brown and Emily Eifler, both of San Francisco, who join founder Judith Smith, Associate Director Sonsherée Giles, Sebastian Grubb, Lewkowicz and Juliana Monin. "When we started AXIS, we had no idea we'd make it through the first year, let alone, 25," says AXIS artistic director and founding member Judith Smith. "But now looking back, the first thing that pops into my mind is, where did the time go? What I remember most is the work, the sense of reward that comes from continually raising your standards, and the pleasure of keeping creative company with all the choreographers, composers, dancers, and designers. It makes me realize we're just getting started. There's so much more we want to do." Tickets: $10-$25 available online at http://www.brownpapertickets.com or by phone at 800-838-3006. Victoria Marks' creative work migrates between choreo-portraits for individuals who don't identify as dancers-- made for stage and film, and dances for and with dancers that fuel Marks' inquiries into movement. Marks' work has continuously challenged conventional notions of virtuosity and embraced an expansive view of dancing bodies. 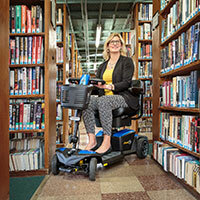 Her most recent projects, "Action Conversations," bring together groups of people who would not ordinarily be in a room at the same time, for the purpose of making dances. "Action Conversations" have occurred between veterans and performing artists (West LA), and now, teenagers and an older generation of women from rural Bellows Falls, VT. Recent awards include first prize in the 2008 "Festival of Video Dance" Barcelona, for "Veterans", a 2011 grant from the Center for Cultural Innovation, for the creation of new work and a 2010 CHIME award for mentoring in her field. Marks is a 2005 Guggenheim Fellow and has received numerous grants and fellowships, including from the Irvine Foundation, National Endowment for the Arts, Los Angeles City Department of Cultural Affairs. New York State Council on the Arts, New York Foundation for the Arts, and the London Arts Board, among others. In 1997, Marks was honored with the Alpert Award for Outstanding Achievement in Choreography. She has received a Fulbright Fellowship in Choreography, and numerous awards for her dance films co-created with Margaret Williams, including the Grand Prix in the Video Danse Festival (1996 and 1995), the Golden Antenae Award from Bulgaria, the IMZ Award for best screen choreography and the Best of Show in the Dance Film Association's Dance and the Camera Festival. Marks is a Professor of Choreography in the Department of World Arts and Cultures|Dance at UCLA, where she has been teaching since 1995. Beth Custer is a San Francisco based composer, performer, bandleader, and the proprietor of BC Records. She composes for theatre, film, dance, television, installations and the concert stage. Beth has created scores for the contemporary chamber ensembles Left Coast Chamber Ensemble, Zeitgeist, Earplay, City Winds, and Turtle Island and Kronos String Quartets; for the theatre productions of Campo Santo Theatre, Berkeley and San Diego Repertory Theatres, Magic Theatre, California Shakespeare, Overtone Industries, and Cornerstone Theatre; for the dance troupes Joe Goode Goode Performance Group, Roco Dance, Flyaway Productions, Ledoh, Harupin Ha, and Osseus Labyrinth; for the films of Cathy Lee Crane, Melinda Stone, Betsy Bayha, Julie Wyman, and Koohan Paik. With her duo Eighty Mile Beach she created the theme music for KQED's Independent View, and with Club Foot Orchestra, created scores for a cartoon for CBS/Film Roman. Beth has created four musicals with award winning writer Octavio Solis. Her collaborative scores with inventor and MacArthur Fellow Trimpin lead her to compose Vinculum Symphony, a site-specific, large-scale work that unites chamber musicians with experimental instrument builders. She has over twenty-five recordings out with her ensembles Eighty Mile Beach, Clarinet Thing, Trance Mission, The Beth Custer Ensemble and Club Foot Orchestra. Her numerous awards include artist residencies at Montalvo Art Center, Headlands Center for the Arts, and Civitella Ranieri Center; grants from Meet the Composer, American Composers Forum, SF Arts Commission, Zellerbach Family Fund, Trust for Mutual Understanding, and many others. AXIS Dance Company is highly regarded the world over for its unflagging artistic and educational standards and for paving the way for physically integrated dance within the contemporary dance community. 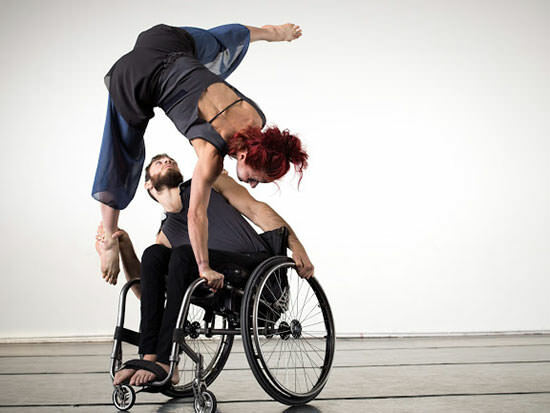 More than any other physically integrated company in the U.S., AXIS Dance Company has been a bridge between contemporary dance and physically integrated dance. The company of seven dancers with and without disabilities has performed in theaters and dance spaces at its home base in the Bay Area, on tour throughout the U.S., as well as in Germany and Russia. Under the Artistic Direction of Judith Smith, the Company's list of collaborators reads like a Who's Who of contemporary dance - Bill T. Jones, Stephen Petronio, Joe Goode, Joanna Haigood, Victoria Marks, Ann Carlson, Margaret Jenkins, Sonya Delwaide, Alex Ketley, David Dorfman, Shinichi Iova-Koga, Meredith Monk, Fred Frith, and Joan Jeanrenaud. Some recent professional highlights include extensive touring throughout the U.S., multi-year commissions from the Yerba Buena Gardens Festival, and being named one of the Bay Area's top 10 high impact not-for-profit organizations by Philanthropedia. AXIS Dance Company is a many-time Isadora Duncan Dance Award (Izzie) winner and was featured on the nationally broadcast FOX television show So You Think You Can Dance in 2011 and 2012.